In SQL Server you can use the DBCC SHRINKDATABASE command to reduce the space occupied by the data files and log of a database. 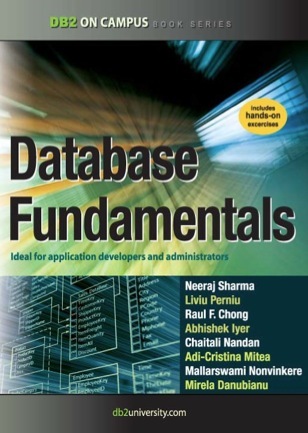 Database Fundamentals is an interesting book db2university IBM, which explains the basics of databases, especially relational issues of logical and physical design, and how to use the SQL language to interact with them. Open Data is a movement that is meant to make easily accessible to citizens and businesses that collect public data the government. Open Data is supported by the W3C and other international bodies, and gradually adds up initiatives in different countries. The first step is the initiative of a public body, was made publicly available certain information in one or more standard formats easily 'treatable'. Since there may be other agencies or businesses that add value to that data across or enriching them with other data sources, or developing applications that allow usuario see that data in a friendly environment. Thus, there is an open international data catalog that every day can add up public data provided by agencies around the world. Yesterday at the Web Congress in Barcelona, ​​I attended a panel discussion on Open Data at Martin Alvarez Espinar, head of the W3C Spanish Office, and Jordi Graells i Costa, coordinator of content and innovation of the Generalitat de Catalunya, explained what the international initiative Open Data, and how it is materialized in concrete projects in some communities of Spain, Asturias and Catalonia. In DataprixTV have released two videos of CTIC that summarize very well what is Open Data. The first explains that reason, what is Open Data , and -To-the-treatment-of-data-status% C3% ADsticos "> the second shows an example of implementation of Open Data and Linked Data in a Web application that lets you view online INE statistics on equipment and use of ICT and electronic commerce in households and companies of Asturias. On Tuesday we had the promised post-holiday BI Beers and, as on previous occasions, in a relaxed environment, talking out very interesting.